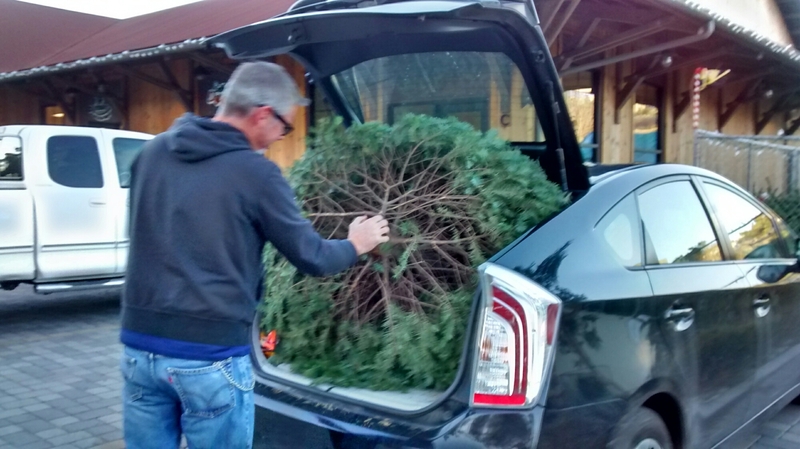 Now we just have to get around to decorating it. Sean's legs. 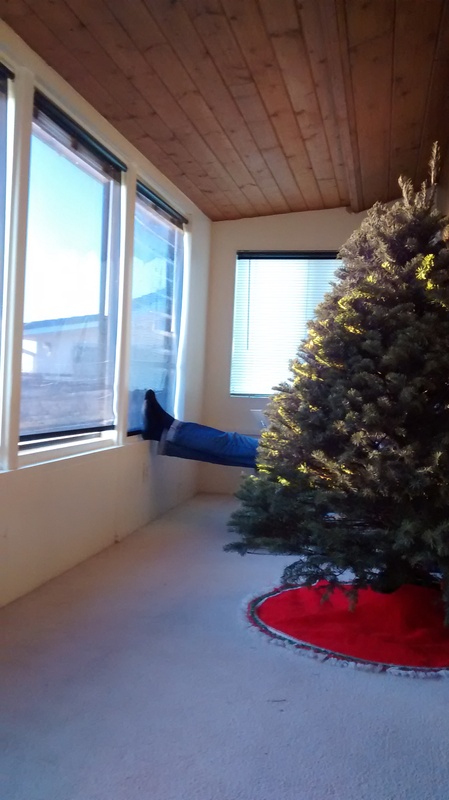 The rest of him sitting in his chair is covered by the tree. 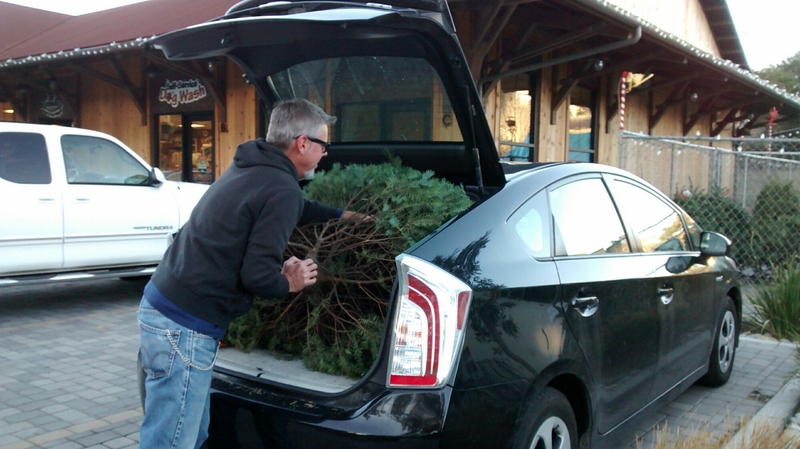 Categories: Adventures with Sean, Holidays | Tags: Christmas, Morro Bay, Sean | Permalink. 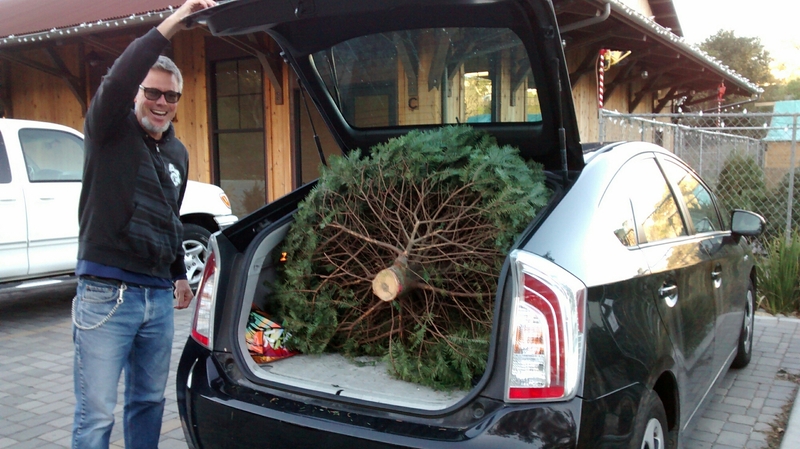 Wow that’s a good size tree and Sean made it fit in the Prius?! Nice!